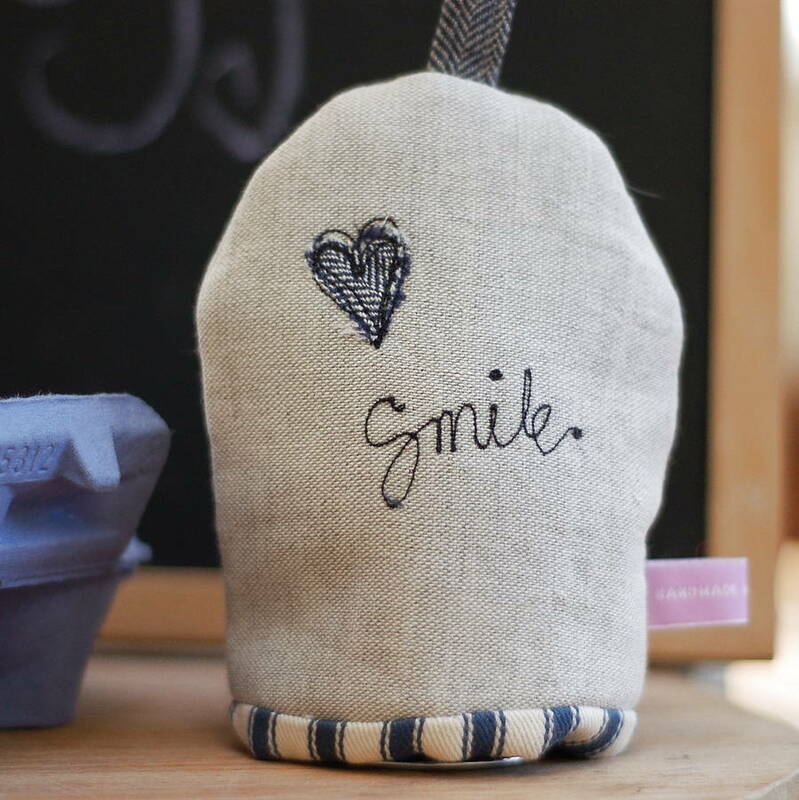 Dress your eggs in style and begin your day smiling with this beautiful embroidered linen and ticking stripe egg cosy, perfect for weddings and anniversaries. 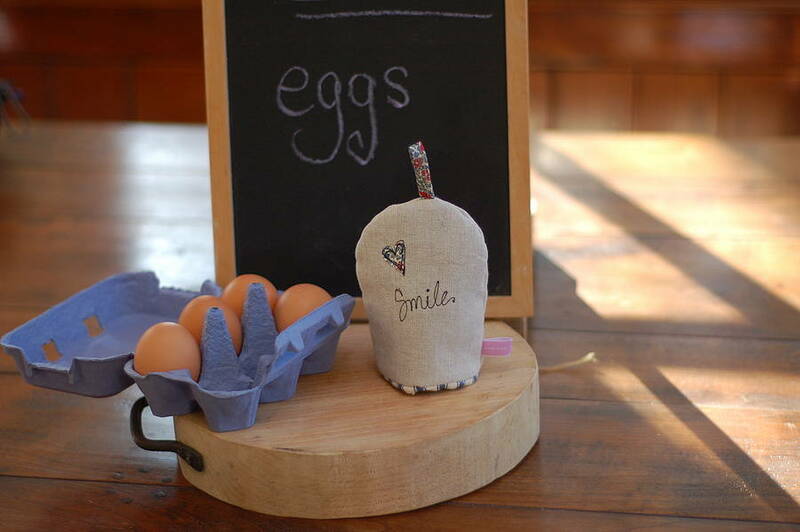 These handmade egg cosies make lovely housewarming gifts and are perfect for an anniversary or wedding gift. The elegant combination of ecru coloured natural linen and ticking striped lining will enhance any breakfast table and fit beautifully within contemporary or more tradtional decors. 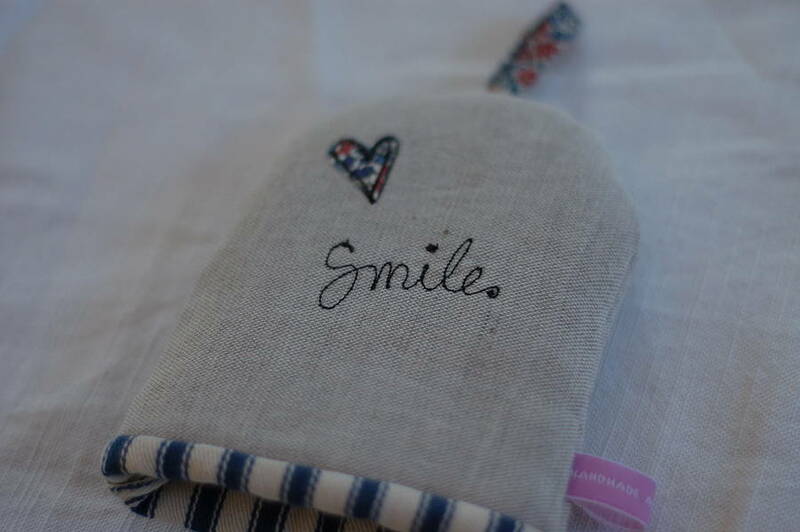 Each cosy is embellished with a free-hand embroidered heart and the word "Smile", they co-ordinate beautifully with other items in our range and their whimsical message would make a charming and cheering gift for a friend in need of comfort or a humourous reminder to the "not a morning person" in your life. 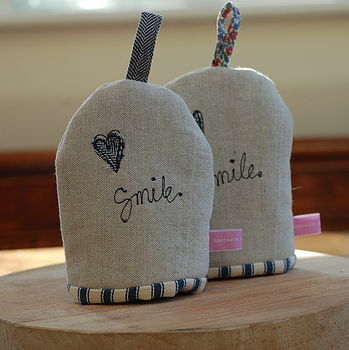 These egg cosies come in high quality natural linen and feature an appliqued heart. The heart fabrics are available in classic Liberty floral print or a handsome indigo coloured herribingbone linen. 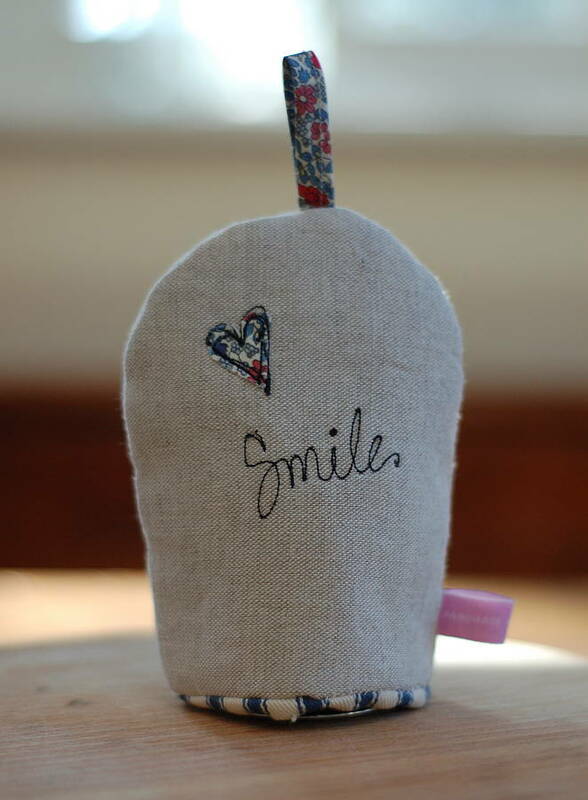 Please choose your heart fabric using the drop down menu when ordering. 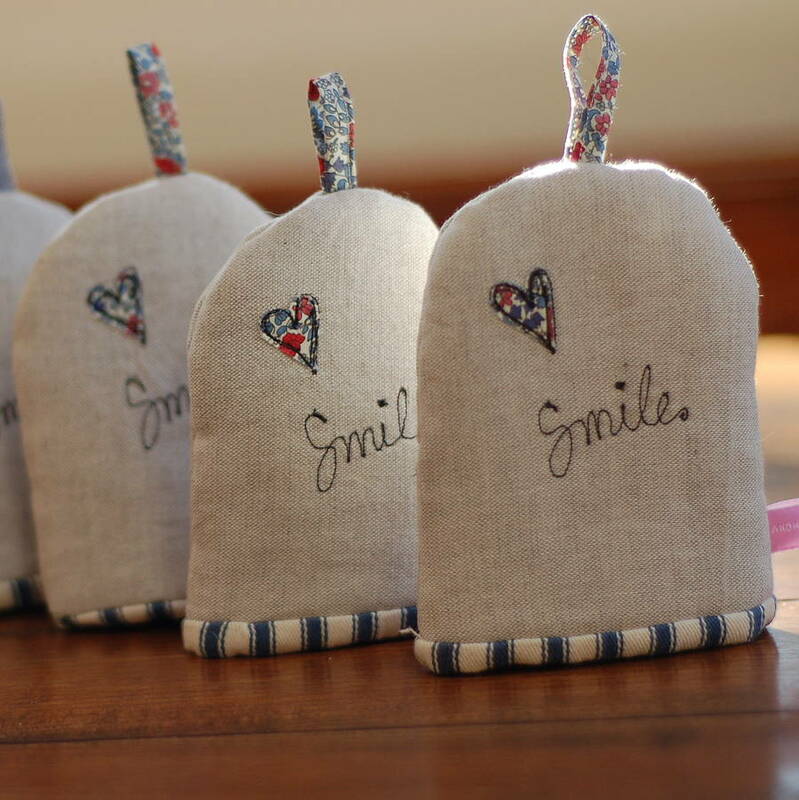 Handmade in Britain using linen, cotton and wadding. Generously sized at 10cm wide and 12cm long.